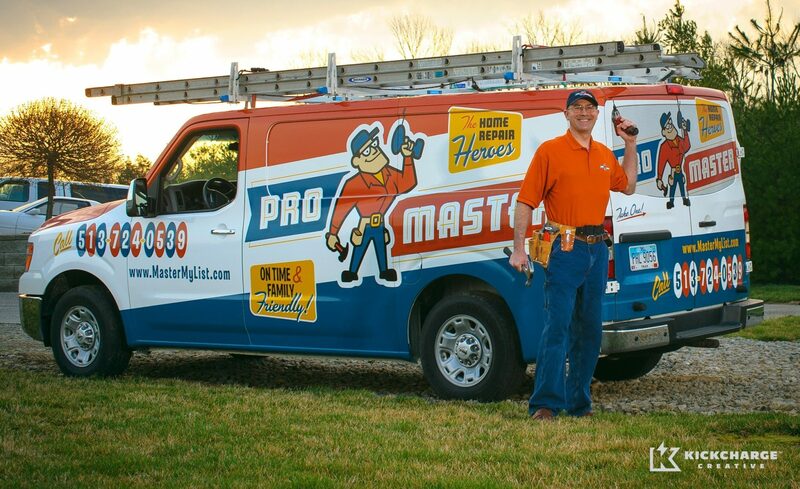 This Ohio-based home repair contractor was in need of a brand overhaul. 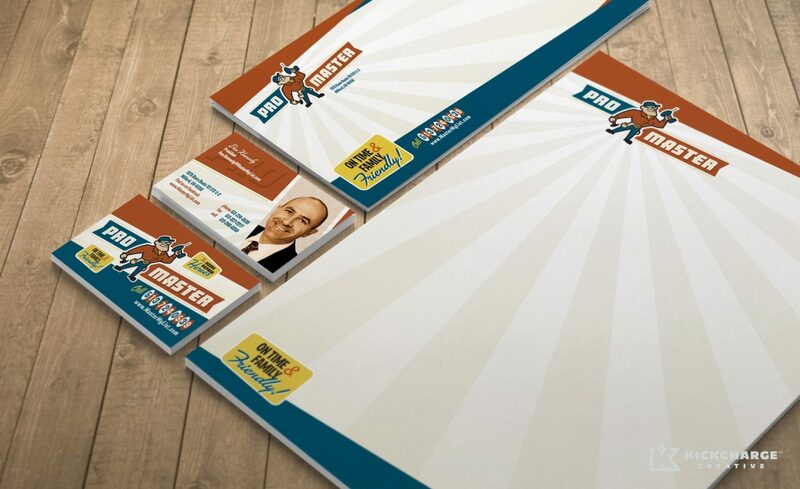 The company struggled through several failed branding attempts by other graphic design firms, all of which lacked the creative and technical ability to pull off a branding ‘home run’ for a small business like ProMaster, according to company President Don Kennedy. 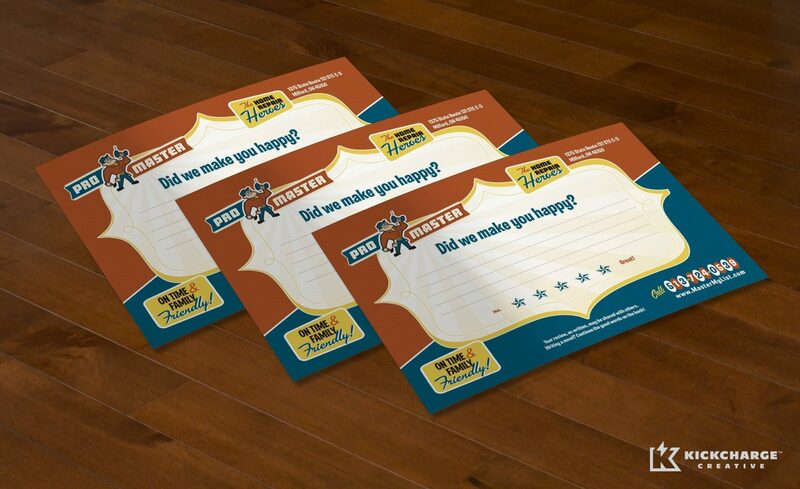 ProMaster prides itself on customer support, honesty and reliability, so a retro-style brand was a good way to communicate its commitment to 1950s service and values. We developed a character-driven logo portraying a superhero-style handyman, with a design and font that are reminiscent of a past era. The color palette features muted blue and orange for a vintage feel, while subtle strokes and hatched shadows create depth in a retro style. Not only is this brand identity friendly—it’s also professional. This was an exceptionally fun project to work on, and we were honored to help this company’s look represent its high-quality workmanship and traditional service values. 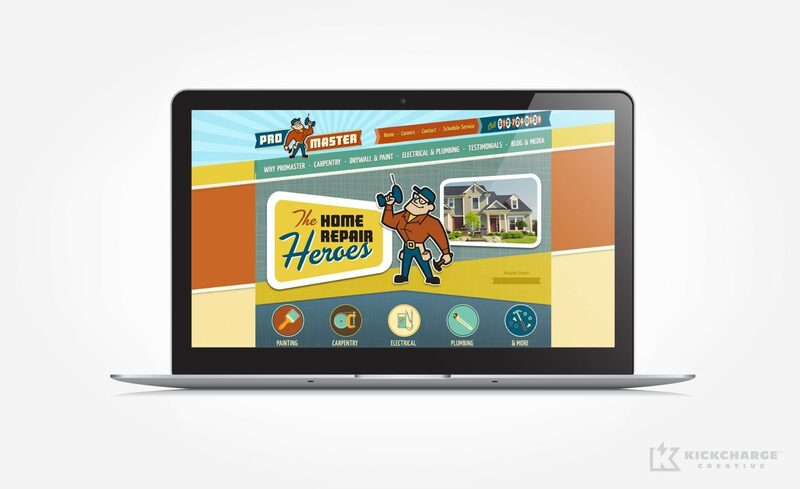 Within the first 6 months of the rebranding effort, we increased phone leads by 200% and conversion rate by 5%, after online users viewed the ProMaster Home Repair & Handyman website.